This playlist was inspired by Nick Paumgarte's enthralling New Yorker article, Deadhead, The Afterlife. 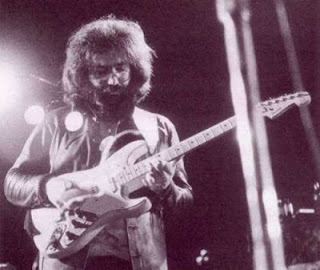 Garcia named his Fender Strat "Alligator", it was was given to him by Graham Nash. In return Garcia contributed some of his best studio works to Nash's songs. Get this collection in one Spotify playlist: Jerry Garcia outside Grateful Dead (45 tracks handpicked from 45 albums, total time: 4 hours). Ctrl (CMD) + G to browse in album view. See this page for a more comprehensive list. Great List! Don't forget Across The River by Bruce Hornsby! Nice! Razooli from Diga would be cool. What a nice post it is really interesting here is more information for us thanks for sharing with us. Learn the most effective ways to create great guitar solos. Find out how great lead guitarists come up with their best guitar solos. www.mcaccountguides.org Really appreciate this wonderful post that you have provided for us.Great site and a great topic as well i really get amazed to read this. Its really good. Ia m love to visit here and glad that i am here and read your article. it is more informative for us.